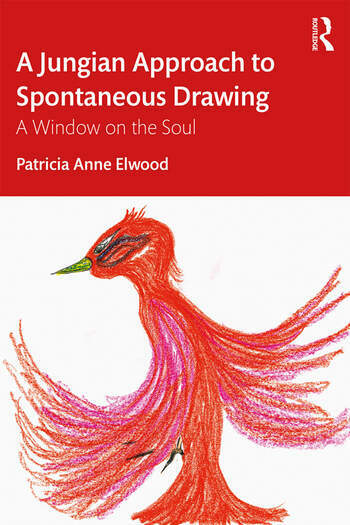 In A Jungian Approach to Spontaneous Drawing, Patricia Anne Elwood provides an accessible and thought-provoking introduction to exploring spontaneous images, focusing on the value of this tool as an insight into the unconscious. Illustrated with client drawings throughout, the book poignantly demonstrates how one can connect and access the spheres within through drawing, and how this process can reveal the unexpected. Elwood begins by accessibly introducing key Jungian ideas and exploring Jung’s belief in the power of spontaneous art as an invaluable tool in one’s journey to the soul. As well as illuminating spontaneity, an oft-forgotten aspect of Jung’s psychology, she explores themes including structure and dynamics, symbols and archetypal patterns, applying them to Jungian concepts. A Jungian Approach to Spontaneous Drawing also examines common motifs including houses, trees and people, and presents extended studies of work with children and adults and how their drawings relate and reveal Jungian ideas. Offering both practical and theoretical perspectives, this book demonstrates the universal benefits of spontaneous drawing for all age groups, helping clients find true release from unconscious blockages and traumas lying dormant in the depths of their own psyche. A Jungian Approach to Spontaneous Drawing will be essential reading for Jungian analysts, Jungian psychotherapists and analytical psychologists in practice and in training, as well as art therapists with an interest in Jungian ideas, and those working with children and adults. It would also be of immense interest to students on courses including art psychotherapy, counselling psychology, Jungian psychology with art therapy, and those in the helping professions. Patricia Anne Elwood attended the Jung Institute in Zurich where she completed her post-graduate diplomas in analytical psychology for children and adolescents and for adults. She lives and practices in Lausanne, Switzerland. She has taught in universities, as well as in clinical and educational fields and to professionals from a diversity of disciplines.